Ice Ghosts weaves together the epic story of the Lost Franklin Expedition of 1845 - whose two ships and crew of 129 were lost to the Arctic ice - with the modern tale of the scientists, divers, and local Inuit behind the incredible discovery of the flagship's wreck in 2014. Paul Watson, a Pulitzer Prize-winning journalist who was on the icebreaker that led the discovery expedition, tells a fast-paced historical adventure story: Sir John Franklin and the crew of the HMS Erebus and Terror setting off in search of the fabled Northwest Passage. On November 5, 1942, a U.S. cargo plane slammed into the Greenland ice cap. Four days later, a B-17 on the search-and-rescue mission also crashed. Miraculously, all nine men on the B-17 survived. The U.S. military launched a second daring rescue operation, but the Grumman Duck amphibious plane sent to find the men vanished. 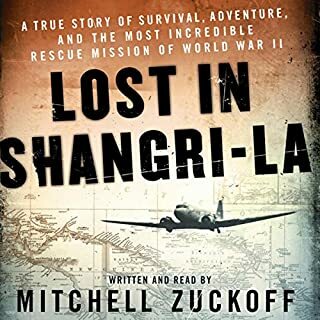 In this thrilling adventure, Mitchell Zuckoff offers a spellbinding account of these harrowing crashes and the fate of the survivors and their would-be saviors. Frozen in Time places us at the center of a group of valiant airmen fighting to stay alive through 148 days of a brutal Arctic winter until an expedition attempts to bring them to safety. But that is only part of the story. 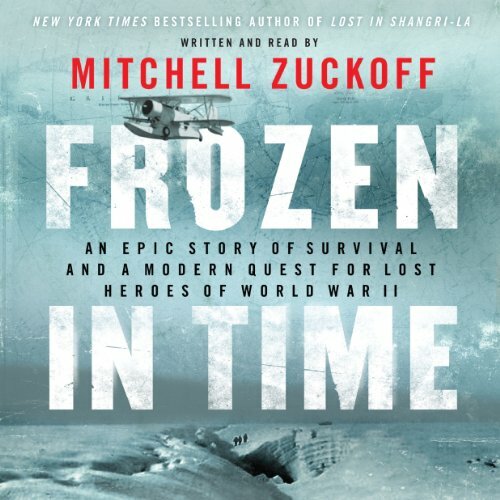 In present-day Greenland, Zuckoff joins the Coast Guard and North South Polar Inc. on a dangerous expedition to recover the remains of the lost plane's crew. Frozen in Time is a breathtaking blend of mystery, adventure, heroism, and survival. It is also a poignant reminder of the sacrifices of our military personnel and their families - and a tribute to the important, perilous, and often overlooked work of the U.S. Coast Guard. This is a must read. Gripping, emotional and true. Makes you appreciate Zuckoff's brilliant writing, research and his dedication to getting the story right complete with helping us to know these heros. Thanks for a super book. 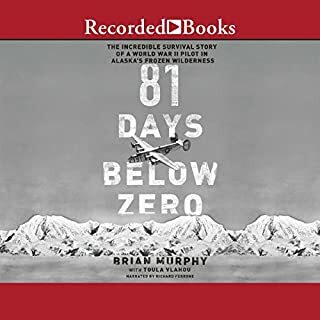 This is an interesting non-fiction account of the loss of several planes carrying American military officers in Greenland during WWII and of the attempts to rescue the survivors. As it's non-fiction, not all the characters survive. The historical tale from November 1942 to April 1943 is intertwined with the modern tale of the attempt to pull together a team to search for the lost Grummond Duck in 2012. It is always clear which time frame is being referred to. The stories are different, and the contemporary tale is told from the author's first person perspective and is told in the present tense. The WWII story is interesting and is brought to life fairly well. This is a good fast listen and will appeal to history buffs. For those itnerested in travel, particularly in the Arctic, it's full of interesting factual tidbits. Zuckoff does a good job of turning the frozen and unforgiving landscape into a central character. Having said that, I think that Mitchell Zuckoff was not the best choice to narrate the story. He's a good writer but not a good reader. There's a difference between someone who tells a story and someone who reads a story. Zuckoff mispronounces several words -- after about the 30th instance of pronouncing ration as RAY-tion, I wanted to scream. He also has a tendency to slur his words and this affects his reading and the story. There were a couple of times when I wanted to turn the whole thing off and find another book to listen to, but the story kept me going. I'd say the story is very good, but the narration is only fair. I'd probably give this about a 3.5 stars overall. Sounds like a recent graduate's first book. I was disappointed with this book. My big complaint is that the author seems to be trying too hard to be a great writer, but ends up sounding trite. I can envision him making notes during the journey and thinking to himself, "this will be a great line for the book", then forcing it into the story. I wish he spent more time telling the story rather than trying to be clever. Would you be willing to try another book from Mitchell Zuckoff? Why or why not? I preferred his previous book: Lost in Shangri-La. Not great literature, but an interesting story that made the driving seem easier. The title and subtitle are actually good descriptions of the contents of this book. The author does some exhaustive research for the noble purpose of "leaving no man behind." 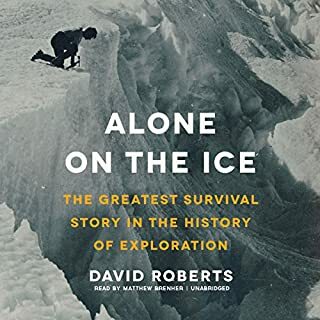 He uses the literary device of alternating chapters with one chapter spinning the historical narrative of what occurred on the Greenland Icecap in World War II, and the other chapter describing events that are ongoing throughout the book. The book was published in a timely manner to include the mission to locate a lost aircraft and the remains of the three men aboard it. As a side note, the author has a blog that keeps readers informed of ongoing developments since the publication of the book. The author does a fine job of reporting facts in a narrative format that keeps the readers' attention. The author is also the narrator of the audiobook. I am always skeptical when authors try to perform their own narrations, but I was pleasantly surprised. As much of the book is written in the first person, the author as audio narrator is natural provided that the author is a good reader - and he is. The story is one that is worthy of the telling and I'm so happy that I read the story. In my opinion it should be more concise. Would you recommend Frozen in Time to your friends? Why or why not? Depends on their interest. 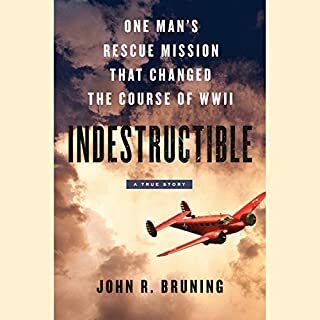 If they love ww2 rescue stories I would. Definitely would have been better with a pro narrator. 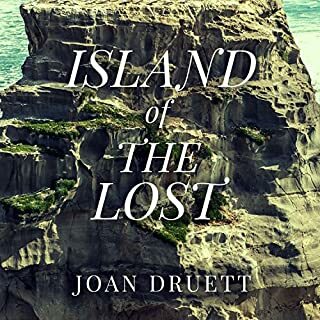 While I enjoyed listening to this book very much, I preferred Zuckoff's other plane crash book, "Lost in Shangri-La". But I recommend both of them. WOW What a History Lesson!!! True story made a fiction by assumed conversation and thoughts of those in the initial 1942 story – I think the term now is Creative Nonfiction. Frozen In Time is essentially two stories intertwined. The first being the WWII tale of heroism as three American military planes crash in the unforgiving Greenland. Then there is the 2012 modern tale of continuing recovery resulting from those events. The men involved in the 1942 saga were brought to life through Mitchell Zuckoff’s writing. Their endurance and selflessness needed to be recounted as a reminder to each of us that even on our worst days, our struggles are so minimal and our sacrifices are so few. At times the numbers, dates and the large ensemble seemed to blur, but as I got involved in the individuals, their plight and their efforts – that ended. Frankly, I had to write out a score cared to help me over that hump. The modern day part of the book is the struggle and prostituting involved in the continuing efforts of recovery. I fear for Mitchell Zuckoff’s wife. I sure hope she didn’t find out through this book about the credit cards and the state of her home’s mortgage. Fans of books like Into the Wild or Into Thin Air will find this an equally, if not better read. At times I was on the edge of my seat or stayed awake just to find out what happened to one of the men. Though I enjoyed Zuckoff’s writing better than Krakauer – Zuchoff shouldn’t be narrating. Not the worst, but a professional could have brought more to this story. I try not to fault him for that though too much because I worry that he needed that royalty for a VISA payment. What did you like best about Frozen in Time? What did you like least? I enjoyed the story and hated the narration. I didn't pay attention to who the narrator was when I bought the book; however, an hour into it I realized it had to be the author. There was no other explanation for the poor narration. The narrator was almost whispering at times and there was no inflection in his voice. It was basically monotone for over 8 hours. Also, the narration was not succinct. Another reviewer called it a slurring of the words and I completely agree. Was Frozen in Time worth the listening time? I greatly regret purchasing the audiobook strictly because of the poor narration. I highly recommend those interested in this book to purchase the e-book or hardcopy/paperback instead of the audiobook. I would highly recommend this book for the story, but only as an e-book or hardcopy/paperback purchase. True story of death and life lost and found on the glaciers of Greenland. If you are enamored of WWI, nonfictional both. This is for you. You’ll be taken to the edge of your seat time and again as you come to know these men, and a few women. It’s a meeting of heroes you don’t want to miss. Fantastic book, gripping story well read. What did you like most about Frozen in Time? I like how it combines a WW2 story with a modern day quest to find the crash site of one of the rescue planes. What about Mitchell Zuckoff’s performance did you like? This is a very engaging story more about the people involved than their flying machines. It's a very personal story too about the struggles to launch an expedition to Greenland to find the heroes frozen in ice. In 1942 a Grumman Duck aeroplane crashed on the Greenland ice cap, shortly afterwards a B17 was sent out on a search and rescue mission to look for the Duck but this too crashed into the ice cap. The planes and the bodies were never recovered. 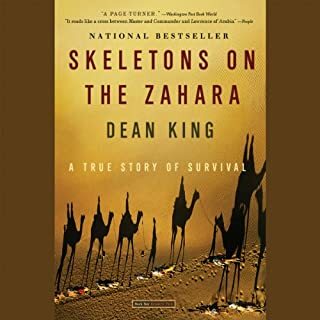 This book tells the modern day story of how Lou Sapienza organised a modern day mission to recover the planes and the bodies but the book cleverly switches between the story of the crashed airmen in 1942 and modern day events. This book is an incredible mix of history and adventure and I just loved it. One of the best books I've read in 2015.